AdWords keyword grouping is an overlooked part of the AdWords workflow. 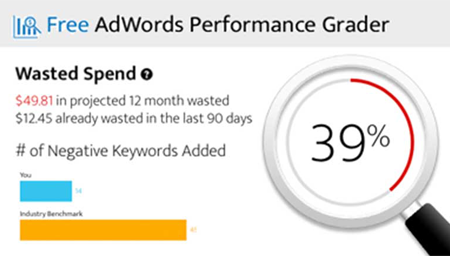 Not everyone realizes that creating tighter, better organized ad groups in your AdWords account can have a big positive effect on your overall account performance. That's because well-organized keyword groups improve your account's relevance, which raises your Quality Score and lowers your cost per click. When you segment your keywords, PPC campaigns are more successful and cost-effective from end to end. The benefits of keyword grouping are clear, but it can be tricky in practice. In this guide, we'll lead you through four basic steps to more successful AdWords keyword grouping. The first step—going from a scattered sea of keywords to a few main groups—can be the hardest. If you've done proper keyword research, you've aggregated many keywords from sources both public (keyword suggestion tools) and private (Web analytics and log files). Now what? When you're unsure where to begin, look to your own customers and visitors. Create groups around those keywords that are currently driving the most traffic and conversions first. This will help you prioritize actions as you move forward. What makes a good top-level keyword group? First of all, a top-level group should be broad—the idea is to build a hierarchy, or taxonomy, with large, general groups that branch into smaller, more specific subgroups. A strong top-level keyword group is usually one term, often a noun, and should be differentiating for your business. These terms generally represent your broader business offerings, be they products (like "shoes" or "vitamins") or services (such as "plumbing"). For example, say you own a bakery and one of your top-performing keywords is "birthday cake." There is some overlap between "birthday" keywords and "cake" keywords. Which term is more differentiating? Which is more likely to be the offering? The answer is "cake"—there could be many different queries that include the word "birthday" but are not particularly relevant to a bakery's offerings, but queries that contain "cake" are very likely to be relevant. "Cake," as one of your offerings, is a good candidate for a top-level keyword group. Once you create your first top-level keyword group, other promising top-level groups may present themselves. Other broad categories of baked goods are a good bet, such as "pie" and "cookies." These offering categories will correspond to your campaigns in Google AdWords (or other PPC platform). Similarly, they may serve as bucket pages on your website, so that visitors can easily find what they are looking for by landing on a category page and navigating down to their specific need. After you have some top-level groups in place, the next step is to segment them down into more targeted subgroups. Second-level groups usually contain a modifier—a term that further specifies the offering your top-level group represents. Accordingly, second-level groups are often types, brands or other salient details. Second-level groups under the "cake" keyword group might include occasions and flavors or kinds of cake. Note that "wedding," for example, is not an adjective, but in the context of the keyword "wedding cake," it modifies the term "cake," telling you what kind of cake it is. The figure below shows a branch of a keyword group "tree." The most optimized, search-friendly websites create third- and even fourth-level keyword subgroups, ensuring ad groups, ads, and landing pages that are maximally specific and targeted to a range of queries. Each subgroup should reveal another layer of intent—the query is the searcher's way of telling you what they're looking for, and longer queries tend to demonstrate the most intent to purchase. The deepest level of intent, corresponding to the smallest subgroup, will often include an orientational term, or one that suggests the orientation of the searcher's interest toward the offering in question. Orientational terms include transactional, investigative, and instructional terms. Transactional terms indicate that the searcher is late in the buying cycle. Investigative terms can also reveal high purchasing intent. Searchers that use instructional terms are frequently looking for learning resources like white papers or books—these too may be opportunities for sales or other conversions. Optimizing your web content for these orientational keywords is an excellent way to bring highly qualified visitors to your site—in other words, visitors that are more likely to convert. How big should a keyword group be? There is no hard and fast rule that dictates the number of keywords per group. Relevancy is more important than size—the keywords in a group should share a high degree of meaning. While there is no set number, it's rare that keyword groups larger than 100 keywords are closely related, for most accounts. Similarly, search marketers rarely need to segment groups smaller than five keywords to maintain relevancy. Now that your basic hierarchy is established, you can address some smaller variables that may affect the performance of your paid search marketing campaigns. Plurals and Derivations: Plurals and derivations (for example, "baking" is a derivation of "bake") should be included in the parent group; do not create a separate group or a subgroup. WordStream automatically includes and sorts these terms. Misspellings: There's no need to create groups for common misspellings or even to include these in your keyword groups. Google and the other leading search engines are smart enough to recognize misspellings and redirect the searcher. Synonyms and Variations: On the other hand, it's a good idea to create separate groups for synonyms, due to the way search engines calculate Quality Score. Although "pie" and "tart" are very similar keywords, Google will judge an ad that includes the word "pie" for the search query "lemon pie" more relevant than one that advertises "tarts." In addition, the words on a results page that exactly match the query are highlighted in boldface (as shown below) and will resonate more deeply with searchers. Writing separate copy targeted toward "pie" queries and "tart" queries improves both Quality Score and click-through rate (CTR). Put the keyword in the more differentiating group. In this case you may decide that "cookies" is more differentiating than "bar," and that you can to write more compelling ad text for your cookies group than your bar group. However, this often comes down to a judgment call. Put the keyword in both groups. You may choose to test which group the ad performs better in. Create a separate group for the keyword. Here you might have three top-level groups, one for "cookies," one for "bars," and one for "bar cookies." Like all search marketing processes, keyword grouping and organization should be ongoing. As your business matures, it's crucial to grow and improve your keyword research and your PPC campaigns. If you only complete the above steps once, your results will certainly stagnate; most likely, they'll degrade. Successful search marketers not only add to their keyword lists on a regular basis, they frequently revisit and refine their keyword groupings and organization. Expanding a certain branch of your business, for example, will require the creation of more keyword groups and corresponding web content. You also need to remain attentive to changes in your industry and competing businesses. Continuous research keeps you on top of market and keyword trends. Our free Keyword Grouper does most of the hard work for you. Just drop in a list of keywords (for example, from our Free Keyword Tool) and the tool will automatically organize them into semantically related groups for you. Then you can use those keyword groups as ad groups in your AdWords account! WordStream Advisor includes smart tools to help you group and organize your AdWords keywords more effectively and efficiently. The 20-Minute Work Week is a simple system of weekly notifications that you can follow to make sure you're taking the most important actions in your account first. It's the easiest way to raise your Quality Scores and lower costs every week. Try WordStream yourself: Sign up for a free trial.